Have a glance at this outstanding accent piece of furniture. This is more of a cabinet with drawer and small cabinet for storage purpose. 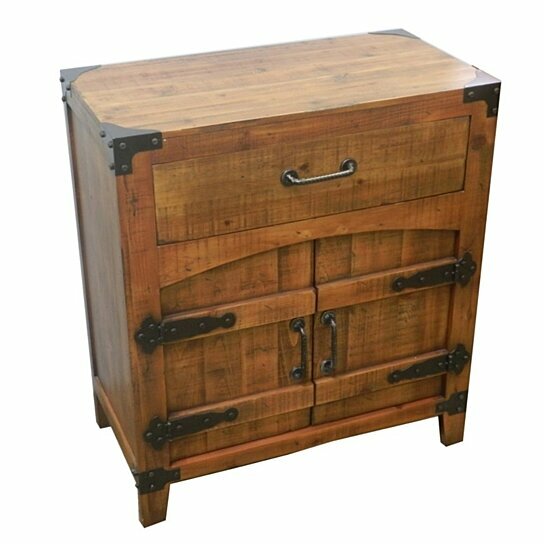 The rectangular shape cabinet has a vintage look to it because of the metalwork. Cabinet like this one should be part of drawing room where it will be noticed and win you compliments. The drawer and small cabinet of this table have enough space to store your important papers and files. Cabinet like this one is easy to incorporate in any interior.